Products made from maple syrup, like these candies, are a big draw at Maple Weekend. 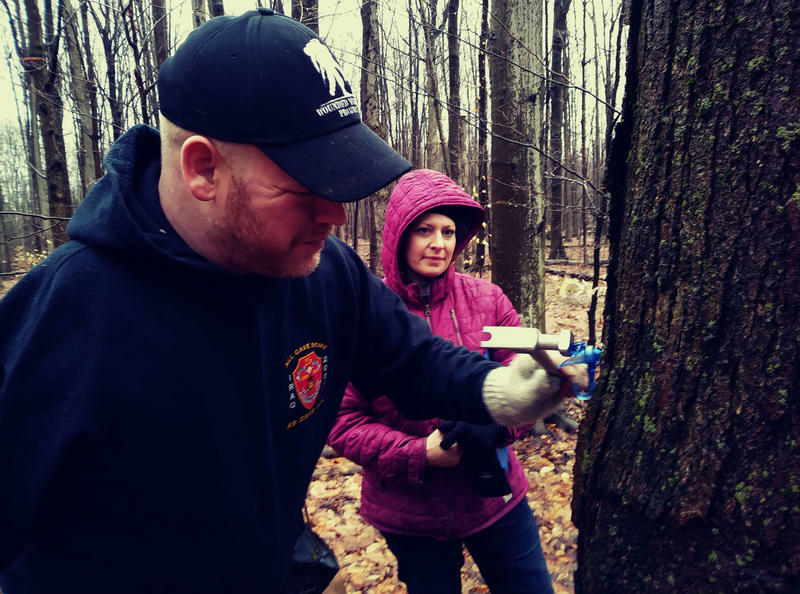 It's Maple Weekend across New York State. This weekend and next weekend, you can take your family to the country to learn about and sample one of New York's most important agricultural products. WBFO's Howard Riedel spoke with Greg Zimpfer, one of the co-founders of Maple Weekend. WNED|WBFO took its cameras to Maple Glen Sugar House in Gowanda to see how pure, mouth-watering maple syrup is made. Maple Weekend involves more than 175 maple producers across the state, including about 50 in Western New York. The event is free. Scientists say climate change affects everything from weather patterns to animal migrations. And now, a popular breakfast condiment could be at risk as well – maple syrup. That’s bad news for the Great Lakes region, which produces a lot of it. Real maple syrup is a sweet treat, but it often comes with a hefty price tag. This is why researchers are working to develop a new method to produce syrup.